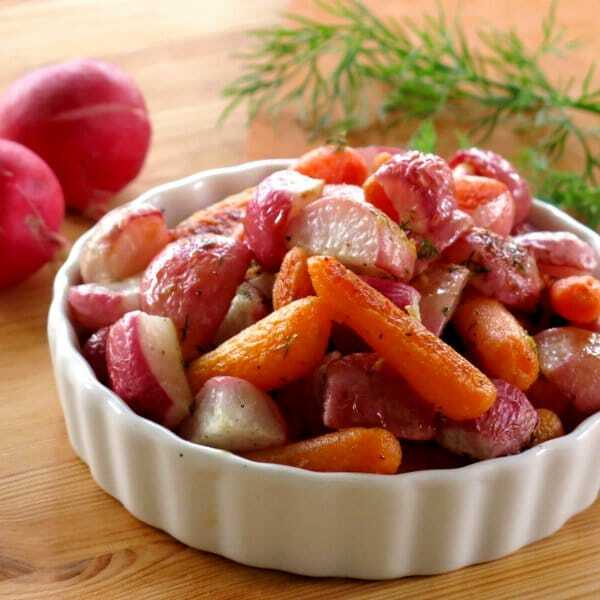 Toss radishes and carrots with olive oil. Spread vegetables out in a single layer on a baking sheet. Cook for about 20 minutes or until fork tender. While vegetables are roasting, make the lemon butter dill sauce. Melt butter in a small pot or in the microwave. Stir in lemon juice and dill.